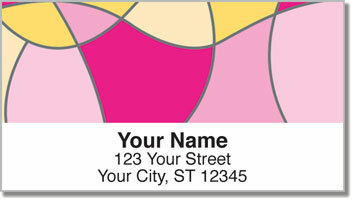 Make a fashion statement with every piece of mail you send when you choose this stylish and attractive set of return address labels! Inspired by the colorful sections of a stained glass window, this design provides you with a look that's both creative and professional. So stop sending letters and packages without any flourish. Leave a lasting impression when you use these labels as a polished finishing touch! 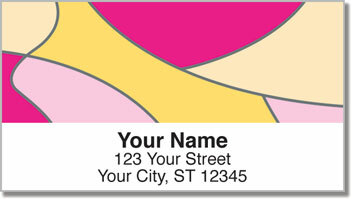 Hot Pink Curve Address Labels are also a great way to save a ton of time. You'll never have to scribble your name and address on an envelope again. The convenient self-adhesive backing lets you peel, place and stick it in the mailbox in no time at all! 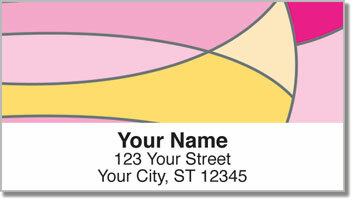 Order your own Hot Pink Curve Address Labels today! 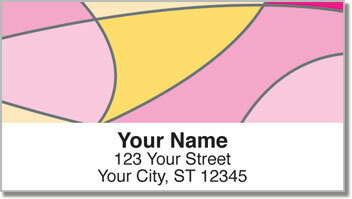 You'll also find this design in matching personal checks.